By Xah Lee. Date: 2017-02-05 . Last updated: 2018-09-01 . 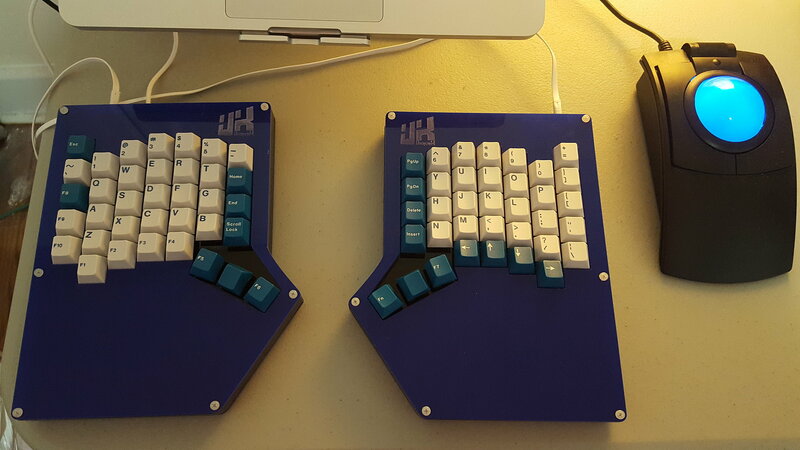 Diverge is a attempt to improve on the ergodox. 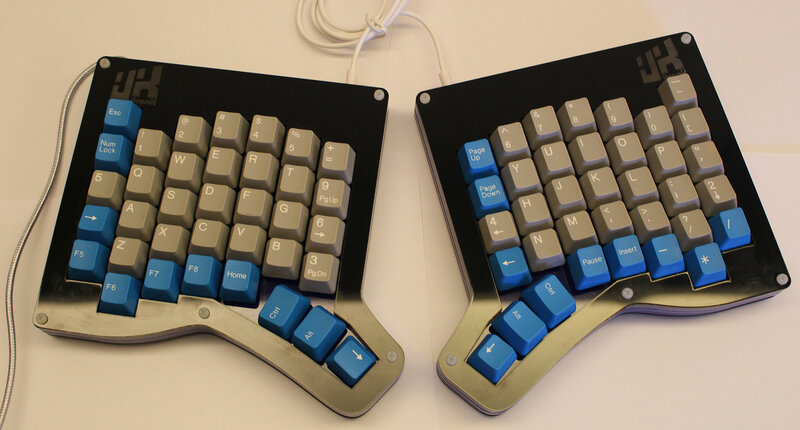 Compare the thumb keys to ergodox, Diverge 3's thumb is closer to center of hand. Diverge 3's thumb is under the middle of of B key. Ergodox thumb is more under the right corner of of B key. You might think just half key width doesn't matter. Actually, one may cripple your thumb if you use it for a year. Which one, depends on your hand size. 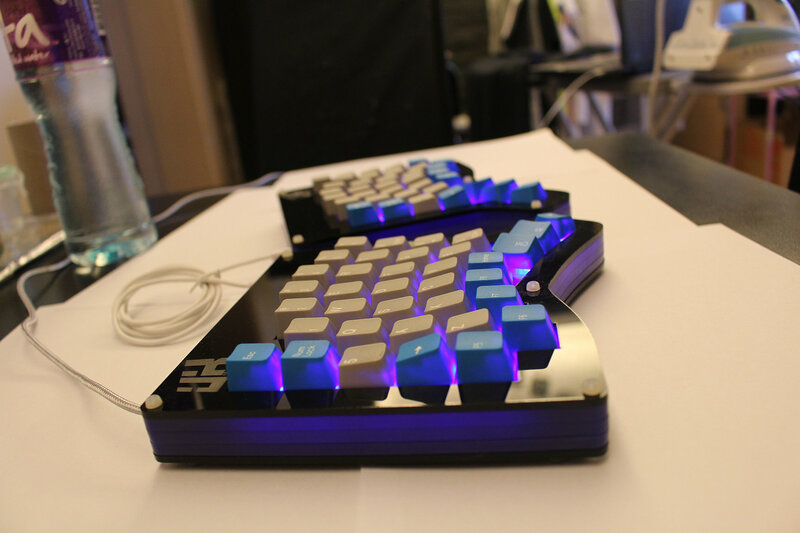 For people who have Asian sized hands, the ergodox thumb keys requires stretch. 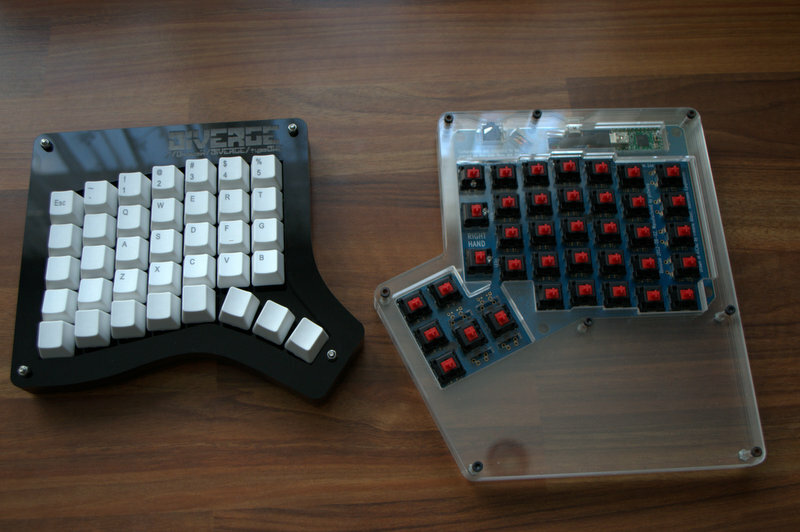 Diverge (2014): left-most thumb key under V.
Diverge 3: left-most thumb key under B.
Ergodox: left-most thumb key starts at right corner of B. However, the Diverge has 4 less keys. This means, you have to use key combinations to activate some of the standard keys.